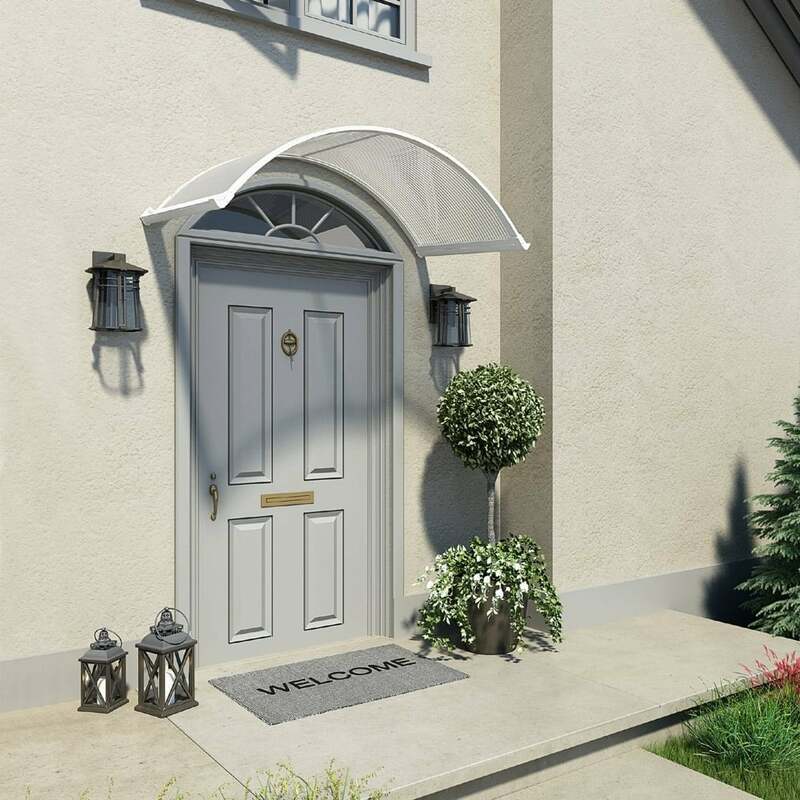 Palram Corona 1580 Door Canopy: This elegant Palram Corona door canopy has a curved design which would look flattering on the outside of any house to provide much needed shelter over the door. The canopy features a durable aluminium framework and 6mm twin wall polycarbonate which is UV protected. The door canopy will fit over a variety of different doors and the curved design will complement any style of door. The canopy is delivered for easy self-assembly with all fittings and comprehensive instructions included. The canopy benefits from hidden rubber seals that sit against the wall to prevent water leaking through and also a front aluminium gutter to allow water to flow off the sides and away from you whilst you are trying to get inside when it is raining!